Uranus in Gemini is in a mutable air sign which revolutionizes, radicalizes and disrupts the significations of its ruler, Mercury. People from this 7-year span of time may stand out as curious and precocious as a group, and individuals with aspects from Uranus to more personal planets and points may stand out as their revolutionary chameleons and communicators. 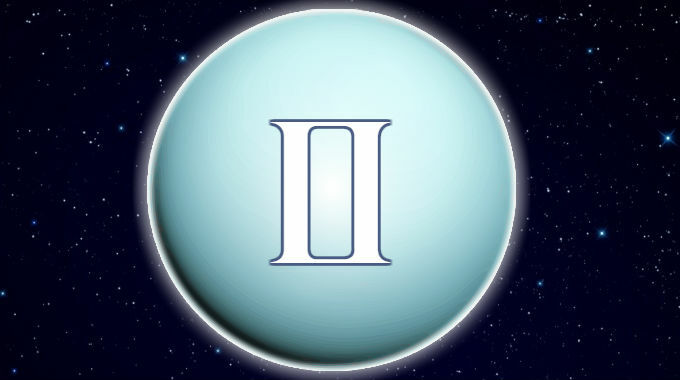 Uranus’s stay in Gemini portends revolutions pertaining to communication, calculations, duality and polarity. People also take on characteristics of the time they come from. Accordingly, in the 1942-1949 Uranus in Gemini period, the first computers were built and the first algorithms were computed by the English in order to crack encrypted communications between the Nazis. In the 1858-1866 Uranus in Gemini period, the first transatlantic communication cables were laid down, facilitating direct communication between the United States of America and Europe for the first time. In the 1690-1697 Uranus in Gemini period, the first post office system was established in the American colonies. In the 1440-1447 Uranus in Gemini period, Johannes Gutenberg kicked off the Printing Revolution with the invention of his printing press. So it’s communication that is revolutionized during Uranus in Gemini periods. The Gemini trope of duality plays out in interesting ways with Uranus in Gemini. The United States of America was born during the 1775-1782 Uranus in Gemini period, and England and America are essentially “twins” of a sort, sharing a “special relationship”. During the 1858-1866 Uranus in Gemini period, the North and South were essentially “twins”, “brother against brother” fighting each other in the Civil War. During the 1942-1949 Uranus in Gemini period, the United States of America allied with its former parent of England, cementing their “special relationship” while meeting its “twin”, the Soviet Union. America itself is a very Uranus in Gemini country, since we have a bicameral Congress and a tension, balance and interplay between the “twin” governments of the country and of each state, red or blue. Each time Uranus returned to Gemini, the country defined itself: first as Americans against the British, second as a union against slavery, third as a superpower against fascism and communism. The country may very well define itself again during the 2025-2033 Uranus in Gemini period. This is especially true if you were born with Gemini rising. Whether you experience the better or worse significations of this position depends on whether you were born during the day or at night, and the kind of aspects it makes with the other planets.